These 5 books were previously released in various Kindle Worlds. They have been reedited and now are being re-released. Don't miss out on these swoon-worthy, heart revving stories! All 5 are also free with Kindle Unlimited! Cherry Picked was previously released in Fiona Davenport’s Kindle World: Passion, Vows, & Babies. This story has been rewritten and reedited to remove all world elements and characters of Fiona Davenport’s world. It is finally my time. I am an outlaw. The president of the Atlanta charter of the Unacceptables MC. You can call me Bear. I've given my blood, sweat, and life to my club. Devotion is a complete understatement. It wasn't until a cute blonde walked into my garage that I considered giving myself to anything else. Her perfect smile drew me in. Her sass made me crazy. I'll do anything to protect my MC - and now her. WARNING: This is not for the faint of heart! But if gore, violence, and explicit sexual situations are your cup of tea, this is the read for you. Unbearable was previously released in Fiona Davenport’s Kindle World: Passion, Vows, & Babies. This story has been rewritten and reedited to remove all world elements and characters of Fiona Davenport’s world. He was a former Marine. 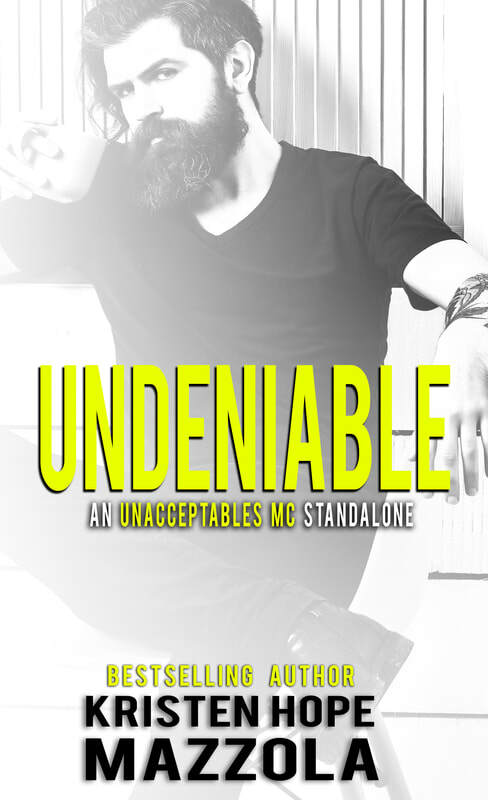 He used to be an enforcer for the Unacceptables MC. Ryan Axston gave up everything for love - for me. His patch, his gun, everything he thought he wanted in life. He claims that nothing compares to our perfect new life. But is everything too perfect? ​Could an outlaw really walk away completely? 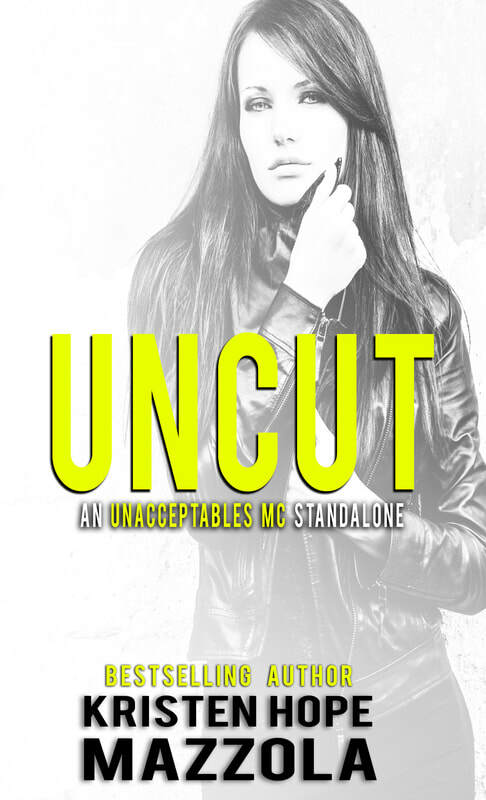 Uncut is a followup to Undeniable, but can be read as a standalone. Uncut was previously released in Susan Stoker’s Kindle World: Delta Force Heroes. This story has been rewritten and reedited to remove all world elements and characters of Susan Stoker’s world. 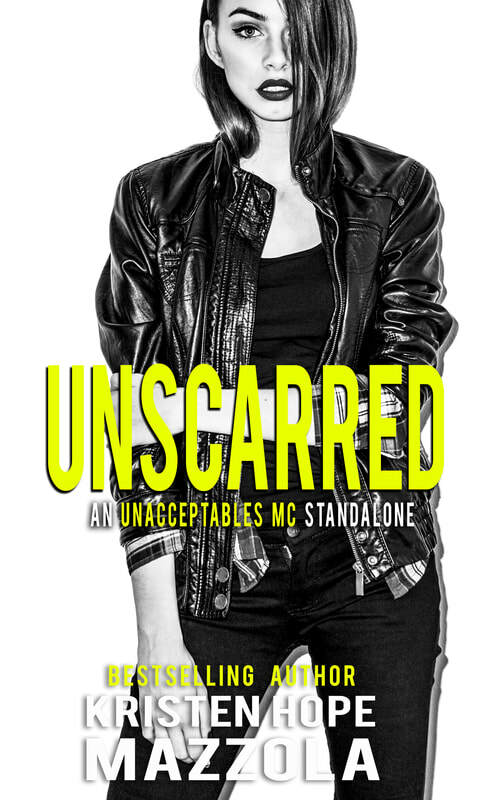 Unscarred is a followup to Unbearable, but can be read as a standalone.